Kali is a Doctor of Philosophy (PhD) candidate at The University of Queensland studying the significance of common or shared spaces in an informal settlement in India. The world is experiencing unprecedented urban growth alongside increasing levels of poverty and inequality. Slums, informal settlements and squatter settlements house over one billion people around the world and are projected to reach a population of two billion in the next 20-30 years (UN-Habitat 2016). Despite their proliferation and resilience, these settlements are not well understood. Policies that result in clearance or substantial change to these self-constructed environments can destroy or diminish the social and cultural fabric of community. There are limited studies that record the spatial qualities and related patterns of use in informal settlements, and yet understanding the urban morphology of informal settlements is critical for achieving better upgrading outcomes and tackling urban poverty. This project uses a case study approach to contribute to a better understanding of the impact of the built environment, focusing on the uses and urban morphology of common spaces in informal settlements in Ahmedabad, India. LECTURE. 'From Rural Village to Urban Informal Settlement: Isomorphic Settlement Patterns in Gujarat'. March2019. For ARCH7091 Urbanism at The University of Queensland. SEMINAR. ‘Fieldwork’. Triangulating data from mixed methods qualitative case study fieldwork in informal settlements in India. March 2019. School of Architecture at The University of Queensland. SEMINAR. ‘Fieldwork Research Methods’. February 2019. Aboriginal Environments Research Centre at The University of Queensland. LECTURE. 'What life is like in an Informal Settlement'. February 2019. For ARCH2140 Architecture in Society at The University of Queensland. ARTICLE. 'Young People Designing Brownsville’s Heart - 2'. October 2018. Gehl Blog. ARTICLE. 'Young People Designing Brownsville’s Heart - 1'. September 2018. Gehl Blog. TUTOR. 'Aboriginal Architecture'. April - June 2018. ARCH3421 Architectural Research Selective, The University of Queensland. INTERVIEW. 'Understanding the Messiness of Life'. March 2018. Patrick Hunn, Architecture AU. WINNER. 'Density and Diversity Done Well' Competition. September 2017. Queensland Department of Infrastructure, Local Government and Planning. SPEAKER. 'Public Space in an Informal Settlement in India: how my research relates to global trends.' June 2017. Global Change Scholars Program. SPEAKER. ‘Introduction to New Build Brisbane’. May 2017. New Build Brisbane Forum Vol.01. LECTURE. 'Architectural Presentations'. May 2017. ARCH3100 Architectural Design at The University of Queensland. TALK. 'Bholu 15 Preschool'. April 2017. Deicke Richards Architecture and Design. TALK. ‘Bholu 15 Preschool’. March 2017. Bruce Speaks! talk series at the University of Queensland’s School of Architecture. LECTURE. 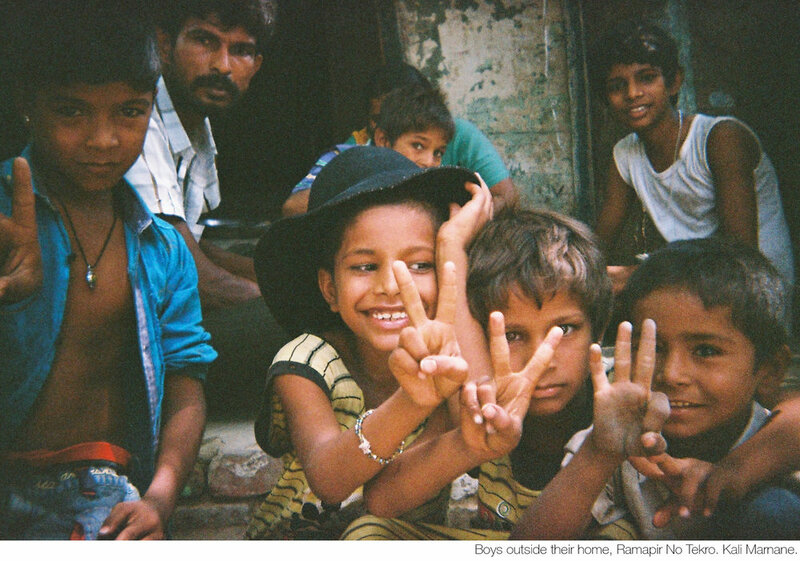 'Ramapir No Tekro Informal Settlement'. March 2017. ARCH2140 Architecture in Society at The University of Queensland. PANELIST. ‘Working in Asia’. March 2017. Asia Pacific Architecture Forum. Hosted by Parlour, The University of Queensland and Gadens Lawyers. 'Working in Asia' Review by Kelly Greenop. 2017. 'Women to the Front'. Architecture Australia. 106(4), p65-67. SPEAKER. ‘Building Bholu 15 Preschool’. March 2017. Pecha Kucha Brisbane. TUTOR. 'Landscapes and Architecture'. February - June 2017. ARCH7005 Advanced Architectural Design, The University of Queensland. TUTOR. 'Client and Culture'. February - June 2017. ARCH3100 Architectural Design 6, The University of Queensland. TALK. ‘Designing and Building a Preschool in India’. November 2016. Rothe Lowman Architecture. TUTOR. 'Matter and Memory'. July - November 2016. ARCH2200 Architectural Design 4, The University of Queensland. HONOURABLE MENTION. 'Carefully Designed' Architectural Design Competition. October 2016. Long-term care facility in Horst, The Netherlands. Authors: Kali Marnane and Tess Martin. LECTURE. ‘How Architecture Supports Education: A preschool in an Indian Slum’. September 2016. Lennox Head View Club Monthly Meeting. ARTICLE. 'A Preschool in an Indian Slum'. August 2016. The State Library of Queensland Design Online. SPEAKER. ‘The Anganwadi Project: Designing and Building a Preschool in India’. September 2016. EmAGN QLD’s Value Speaker Series. TUTOR. 'Aural Architecture'. February - June 2015. 3901ENV Architectural Design Studio 4, Griffith University. TUTOR. 'Architecture in Space'. July - November 2014. 1900ENV Architectural Design Studio 1, Griffith University. TUTOR. 'Passive Environmental Design'. February - June 2014. ARCH2120 Architectural Technology 2, The University of Queensland. CONFERENCE PAPER. 'Amplifications [golden teeth]: Urban space as outdoor museum Place Lalla Yeddouna, A Neighbourhood in the Medina of Fez, Morocco International Competition Entry'. October 2011. UIA2011 Tokyo The XXIV Congress of Architecture. Tokyo, Japan (746-747). Authors: Andrew Wilson, Akari Yokokawa, Nicholas Flutter and Kali Marnane.